Our facility is currently 22,000 Sq. Ft. with over 30 machines and 20 employees. In the 1960’s, Jim Foster from Troy, Ohio had the dream of operating a small machine shop. On March 1, 1971, Foster opened Promac with three employees in a 2-car garage in beautiful downtown Enon. 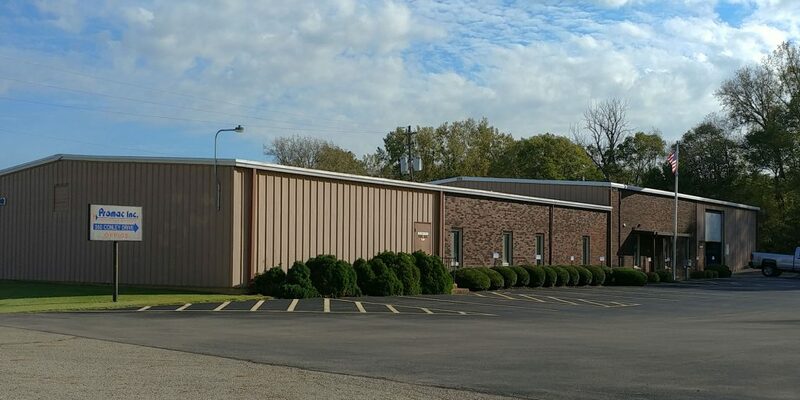 Over the next 8 years, Promac experienced rapid growth moving and evolving into a 22,000 square foot machine shop. Jim’s son, Russell, proudly assumed leadership of Promac Inc. in 1992. Promac’s machinists take pride in every project, specializing in high quality details, jig, fixture, prototypes and short run production work. Through growth, new management and evolution of technology, Promac continues to be a proven leader in quality and looks forward to maintaining this reputation for years to come. We're more than happy to give you a private tour of our facility.